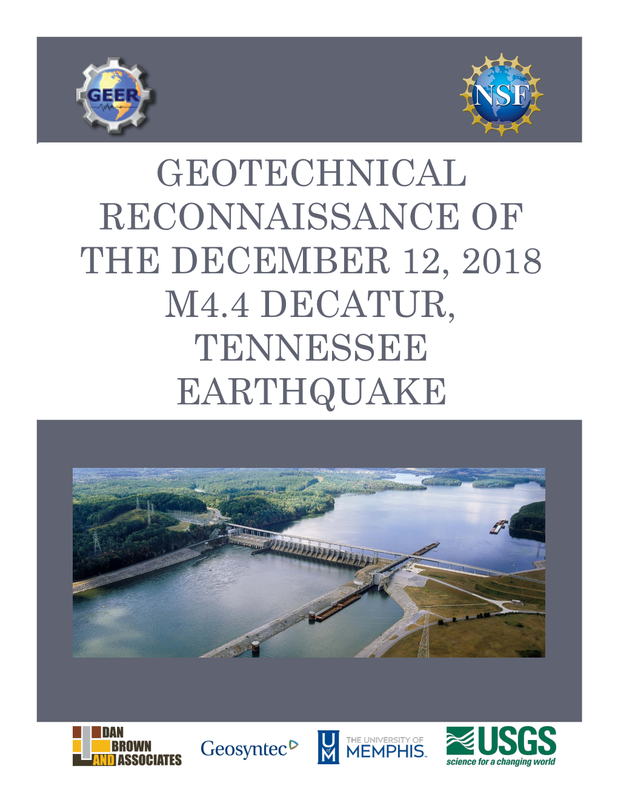 Tim Siegel was one of four co-leaders of a Geotechnical Extreme Events Reconnaissance (GEER) team that investigated the impacts of the 2018 Tennessee Earthquake that occurred near Decatur, Tennessee on December 12, 2018. 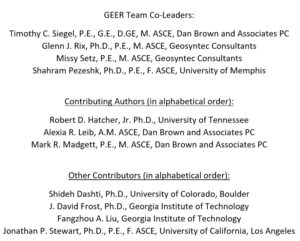 Among the team members were Ali Leib and Mark Madget. The team performed reconnaissance of the area around the epicenter of the quake and prepared a report of their observations. 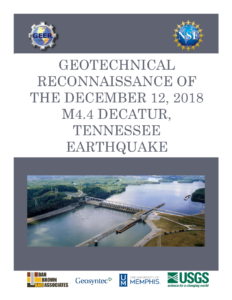 The team’s report can be downloaded from GEER here. Click the image below to see the list of the entire team. 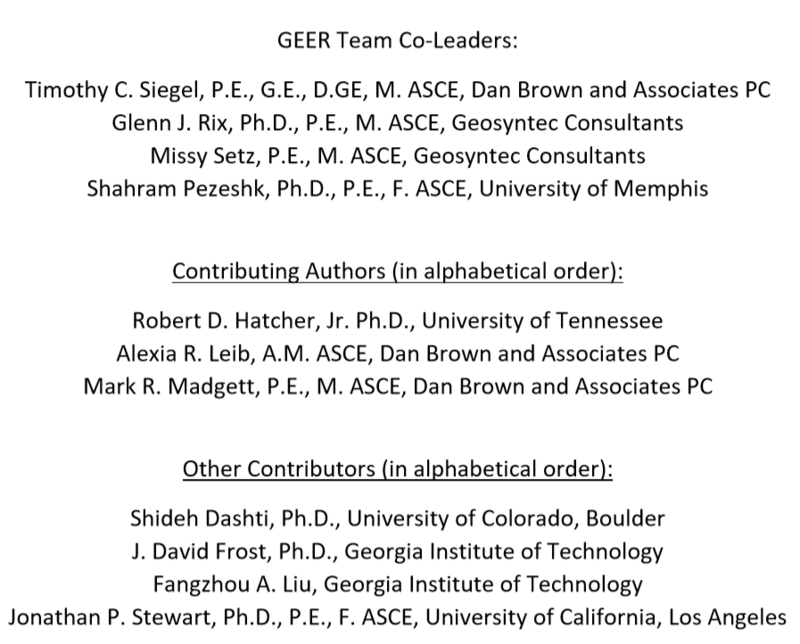 To find out more about GEER, visit their website.